When it is not practical to lift or move tender plants, the best way to protect them from the winter cold and wet is to wrap them up. In exposed or cold areas, even relatively hardy plants may need protection. Winter wrapping is required for tender plants such as bananas and tree ferns, but may also be necessary for hardier plants in cold or exposed areas. Winter wrappings are best put in place at the first warning of frost, usually between September and November. Specific cultivation practices are used to protect plants from winter damage, and these are started from mid-summer onwards. See our page on preventing winter damage for further detail. Once all danger of severe frost has passed and new growth has started in the following spring, remove wrappings in stages or on a dull day to allow the plant to acclimatise. Materials such as fleece, hessian, bracken, straw and polystyrene can be used to insulate plants from cold or wind. To prevent sweating and possible rotting, protective covers should be removed when extended periods of very mild weather are forecast, but replaced as necessary if the weather becomes cold again. Tender climbers such as Eccremocarpus, Passiflora mollissima and Solanum jasminoides are trained against warm walls to give them protection, but also benefit from having their lower stems packed with straw or bracken in winter. This is held in place with fleece, netting or hessian wrapped around canes and secured with string, wire or garden twine. Examples of shrubs that may need wrapping include Pittosporum tobira and Cestrum. In cold or exposed situations, borderline hardy plants such as Callistemon, Clerodendrum bungei, Clianthus puniceus and Pittosporum tenuifolium may also need protection. Figs are wrapped to protect the embryonic fruits even though the plant is hardy. Smaller specimens can be protected by constructing a rigid frame or wigwam of bamboo canes around the plant, packing around with bracken or straw and covering with netting. In wet periods, temporary waterproof cover should be added, wrapping clear polythene over the whole structure to prevent it getting wet and rotting. Larger specimens can be surrounded with a 5-7.5cm (2-3in) layer of bracken or straw sandwiched between sheets of wire netting. A detachable lid can be placed on top in very severe conditions. Shrubs growing against walls can be packed with straw or bracken behind and around the branches. A batten can be fixed to the wall above the plant with fleece or netting suspended from it, hanging down like a drape over the plant. A batten at the bottom of the drape allows the covering to be rolled up in mild weather. Tree ferns in mild, sheltered areas may be fine with a packing of straw over the crown and a polystyrene cap to keep off the rain, but in colder areas complete wrapping is recommended. The trunk is easily wrapped in fleece. The fronds should be tied upright with straw or bracken packing at the centre, and the whole bundle wrapped in a double layer of horticultural fleece. The root area is mulched with organic matter to protect the roots from frost. The following is a pictorial step-by-step guide to wrapping a banana, as undertaken by the gardeners at RHS Wisley. The principle is the same for any free-standing shrub or tree. If you do not have the exact materials, you could substitute dried bracken fronds or similar for straw, old bits of timber for bamboo canes, another kind of mesh wire for chicken wire, and another suitable waterproof covering (perhaps an old tarpaulin) for the polythene sheeting. Musa basjoo is one of the hardiest to grow, and Ensete plants grown from seed make striking large plants in less than two years. Small plants can be overwintered in a frost-free greenhouse or conservatory. Cages made from chicken wire can be built around larger plants - after cutting back the frosted leaves - and packed with straw or bracken, covered with hessian or fleece to keep out wind. A hood of polystyrene can help keep rain out of the crown. Unwrap plants by May. As well as the step-by-step below, you can also watch our video on overwintering bananas. You can also find more cultivation information on our banana plant profile page. If water is trapped under the wrappings, rots could develop in the crown of the plant. 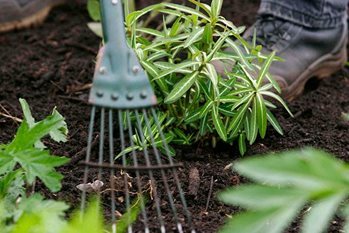 It is important to remove any damp debris from the base of the plant, and to make sure the crown is packed with plenty of dry material such as straw or dry bracken. A waterproof cover is essential.